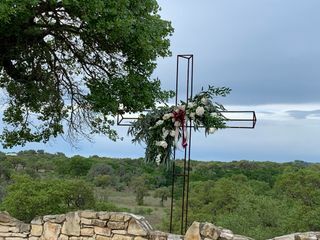 Paniolo Ranch Events, a bed & breakfast on a ranch, welcomes couples to the San Antonio, Texas area for their wedding. This elegant, outdoorsy space has a country flair that comes naturally in the scenic outdoor spaces surrounding the Texan city. 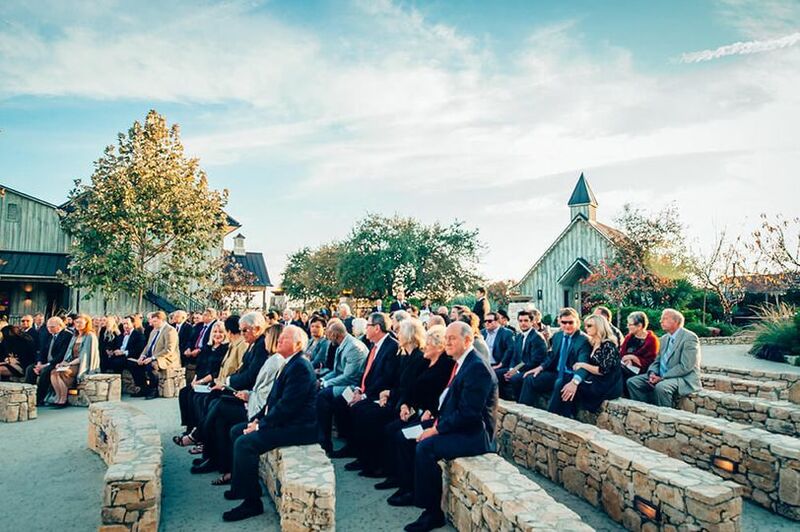 Set away from the city for intimate privacy, this venue is a 55-minute drive from downtown San Antonio. 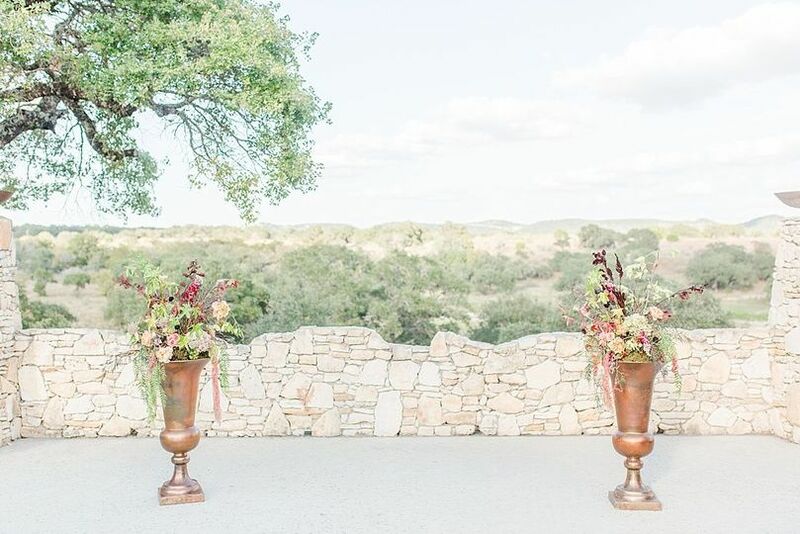 With a maximum capacity of 300 guests, couples will love the wide-open spaces at Paniolo Ranch Events. 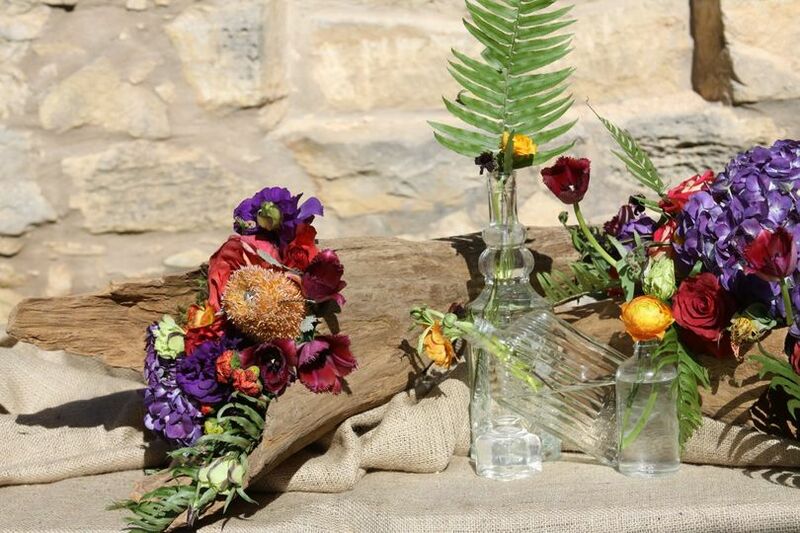 Couples can marry outside in front of a low stone wall overlooking the Texan countryside. 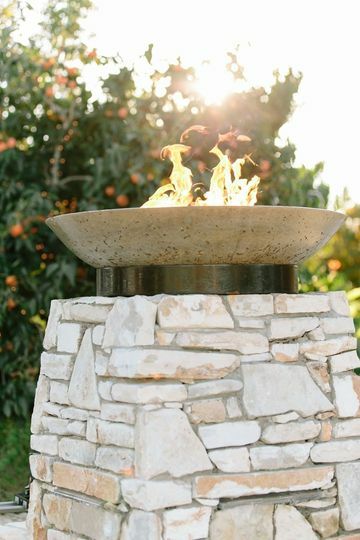 Guests will find seating on stone benches with lighting for dusk or evening affairs. 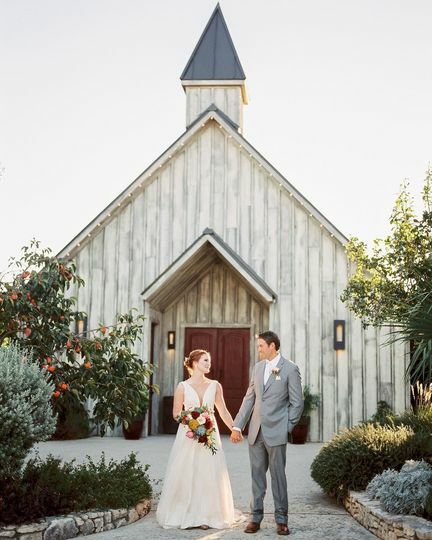 The wooden chapel-like barn with a painted door makes a great ceremony or photo location. 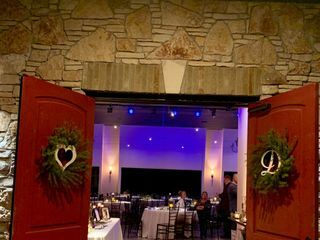 The reception hall welcomes guests to take a seat behind glass garage doors overlooking a cement patio and the property. 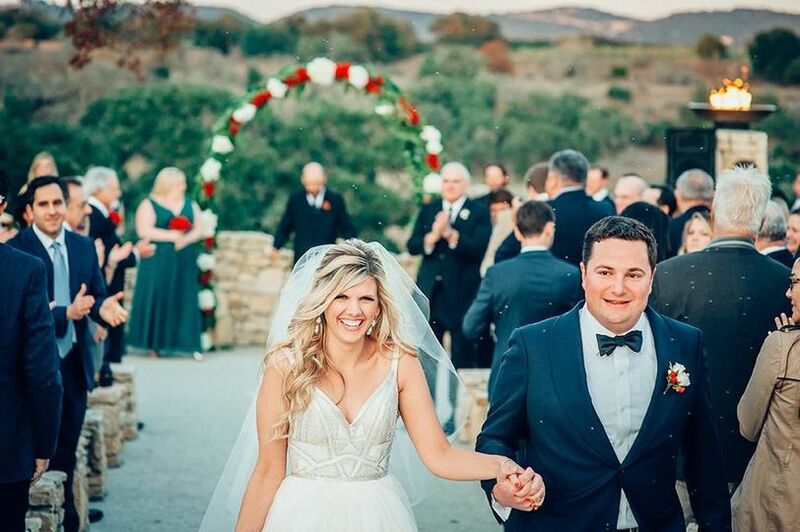 Couples can also choose to open the doors and extend the table seating out onto the patio for the perfect mix of an indoor and outdoor reception on this ranch. This venue serves as a resort retreat, allowing couples and their guests to take a break from reality and enjoy a special weekend of love and relaxation. The guest houses on this property are private and serene, with amenities such as satellite television, a refrigerator, a microwave and more. These private getaways are furnished and decorated with comfortable modern items. Judy was very accommodating to our needs & wants for our ceremony & reception as we were having a small wedding with less than 20 guests with only about 2 months to plan. 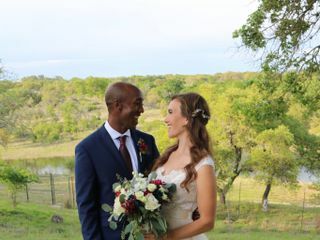 The Paniolo Ranch could not have been a better choice for us - the views, sunset, food and staff were all perfect and the night couldn't have been better. Judy & her staff were very helpful and kept the night moving along from photos to food to dancing and the cake & toast. I would highly recommend this venue to anybody looking for an outside wedding location or just a getaway. Thank you Katie for your wonderful review. It was an honor to be a part of such a special moment your life. We hope to see you and your family again in the future. Maybe for your anniversary? Highly recommend! Paniolo has some of the best pricing in the greater San Antonio area. Fabulous owners and employees! A bit of a drive for some but totally worth it! You have made our dream come true with this wonderful review. Thank you for taking the time post it. Can't say enough positive things! Words don't even do my wedding justice. This is THE perfect venue!!! Absolutely stunning, perfect price and everyone there loved it. 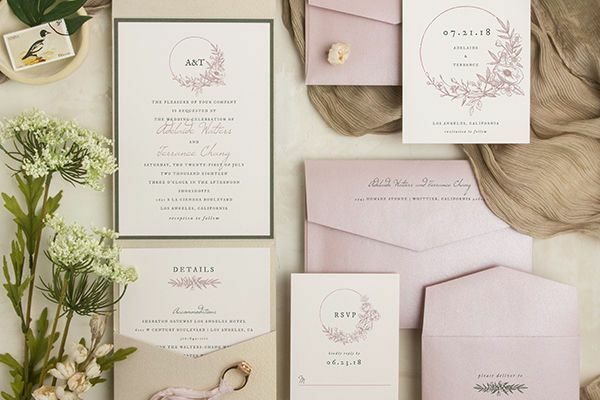 The brides have had the honor creating custom invitations for have nothing but best things to say about this venue, they rave about it...you can&apos;t go wrong here! 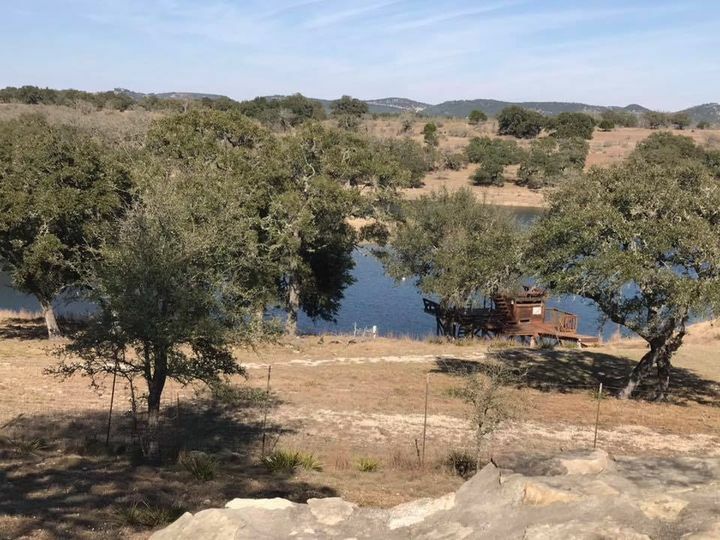 Paniolo Ranch is an beautiful venue to accommodate and host any event! 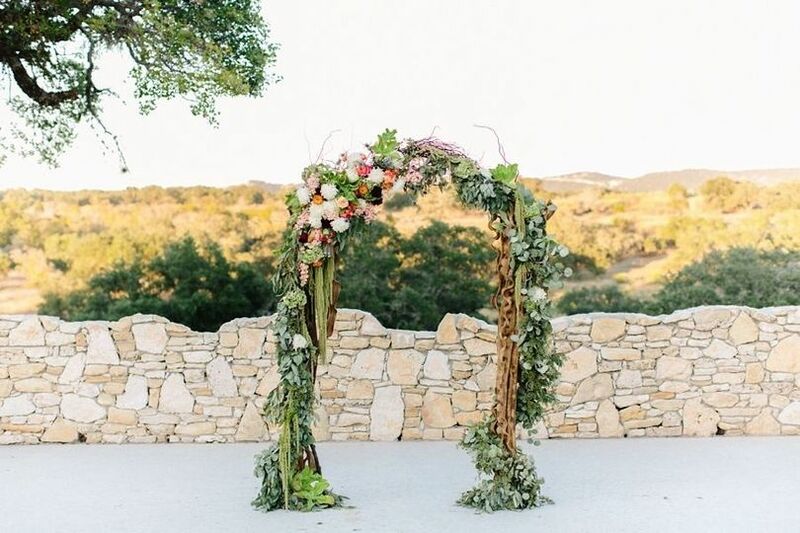 Located and surrounded by lush hill country, this venue offers more than a retreat ambiance but a home away from home! 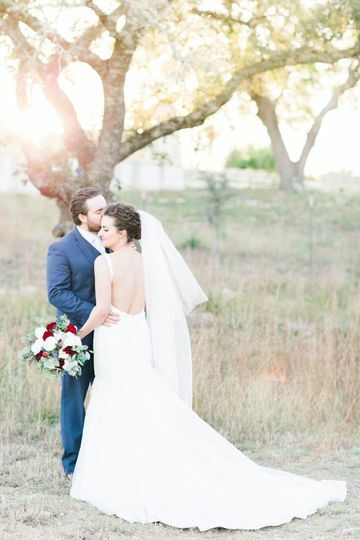 Paniola Ranch is an absolutely stunning venue tucked into the breathtaking Texas Hill Country. Every detail about this venue is lovely. 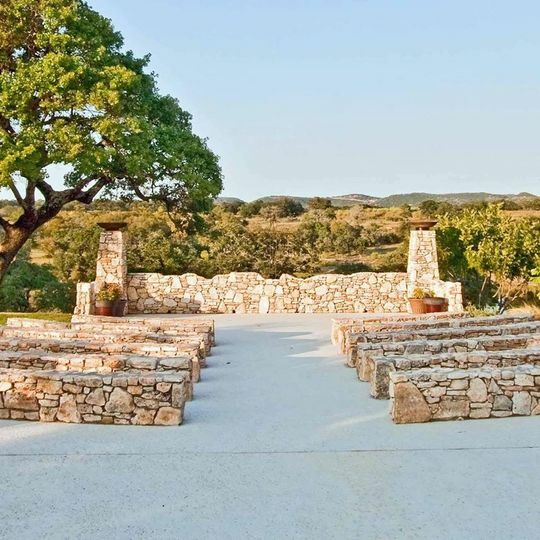 From the expansive walk through arbor the bride approaches a beautifully landscaped garden planted with native Hill Country flora and accented with a beautiful fire pit feature and limestone amphitheater ceremony site. 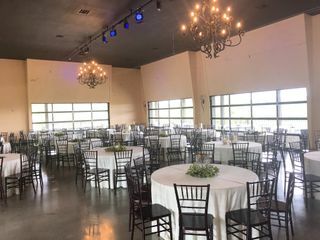 The new indoor reception area features a glass wall that offers an open air option should the couple wish to bring a part of the Texas Hills indoors for their day.